This entry was posted on May 20, 2014 by Jessica Anderson. Parties at the end of a sports season are a fun way to celebrate a team’s accomplishments. The common denominator for most team parties is food and awards, with a presentation by the coach. This can be as simple as handing out a cupcake and trophy after the last game or a more involved party at a home, restaurant, school or other facility. 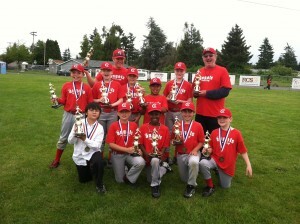 A baseball team with their hard-earned trophies and medals! When planning your team party, a few things need to be decided first. Date and time: Most parties are held at the end of the season to celebrate your team’s accomplishments. Many teams will celebrate immediately after their final game; ask your coach his or her preference. Then once the date and time are set, communicate that to the other parents as soon as possible. Venue: A park, teammate or coach's house, pizza parlor, frozen yogurt shop or other local restaurant are all great locations for a party. If you choose a popular location, plan ahead to reserve a spot, as many can get booked by other teams. Food: The food can be as simple or as fancy as you like. Many teams will hold a potluck at the park or coach's house after their last game. Pizza is another popular option. Or maybe its a more low-key affair, and a parent brings cupcakes to the last game. Awards: A great way to memorialize the season is to recognize each team member with a personalized trophy, medal, or award. 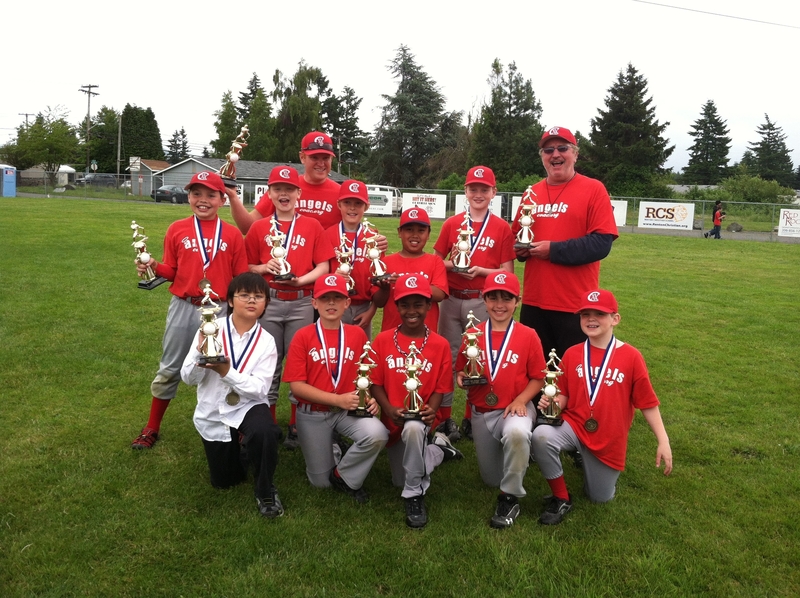 If your team doesn't want to give participation trophies, consider giving each player a small gift instead, such as a team picture, water bottle, autograph book, or some other memento to remember the season. If you decide to order awards, choose age appropriate trophies depending on the skill level of your players. For suggestions of awards by age, read Choosing the Right Sports Trophy. Coaches Gift: Don’t forget a special acknowledgement for the coaches and team parents as well! Many of them are volunteers, and it's great for the team to thank them for their time and energy. Read Coach Recognition for ideas on how to make your coach feel special. Budget: If you are planning awards for the team or a gift for the coach, you may need to collect money from the parents to share the costs. I suggest pricing out how much everything will cost, then letting the parents know their share. Presentation:Every player contributes something to the team. To make your party meaningful, ask your coach to say a few words about each player, whether you give awards or not. Find one positive contribution from each player and recognize them for it. For ideas how to present a trophy in a meaningful way, read Making Sports Trophies Meaningful. Reserve your venue early. Many popular party spots, such as the neighborhood pizza parlor, get booked quickly with team parties. Check the calendar and call ahead to reserve your team’s space. Provide plenty of time to order and receive the awards. A little planning will help you stay within your budget and minimize stress. You’ll also save on shipping and rush order fees. Allow at least a week for your order to be completed, more if it needs to be shipped to you. Confirm the spelling of each player’s name. You don’t want to order an award for “John Smith” when his name is “Jon Smith.” Double check the roster, and if you have questions, check with the player or their parents. A team party is a great way to celebrate the team and its accomplishments. Here's to another great season!